Fort Bahrain, modern capital Manama on the horizon, Photo Shutterstock. 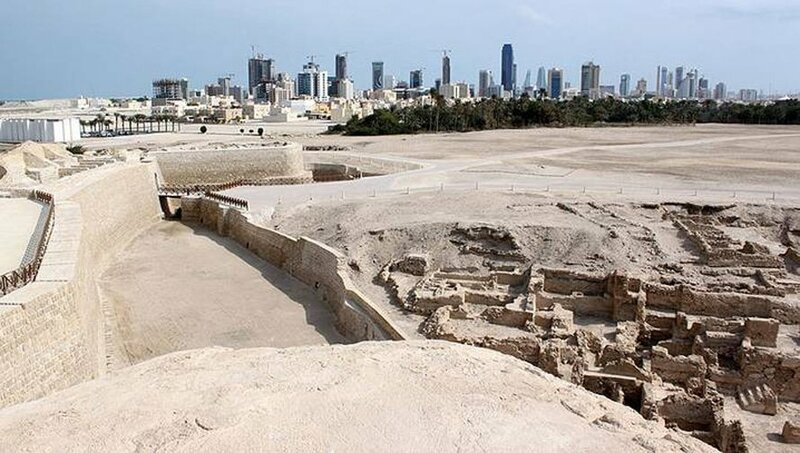 Bahrain’s history dates back at least to the fourth millennium BCE, when Dilmun, probably located in this area, emerged as a trading centre linked to Sumer and the Indus Valley. Bahrain’s modern history has been shaped by Islam from its earliest years and its recent history by British colonial control in the 19th century (a much more direct control than the other Gulf Cooperation Council states experienced) and by the rise of the Al Khalifa monarchy.